The Sleuth is intrigued with a one-off Dodge Challenger that the Fiat Chrysler Automobiles (FCA) division built for the recent Specialty Equipment Market Association (SEMA) show. Along with a trick paint job, the car on display at the automotive parts and accessories extravaganza in Las Vegas, Nev., showed off a “GT AWD” badge. Since the Challenger’s chassis and running gear is based on that of the Dodge Charger and Chrysler 300 sedans, it wouldn’t take much effort or expense to offer an all-wheel-drive option for Challenger buyers. It would also make the coupe unique among its Ford Mustang and Chevrolet Camaro peers. Currently, AWD is only available on FCA models equipped with V6 engines, but The Spy Guy believes that restriction is about to be lifted. AWD Hellcat, anyone? 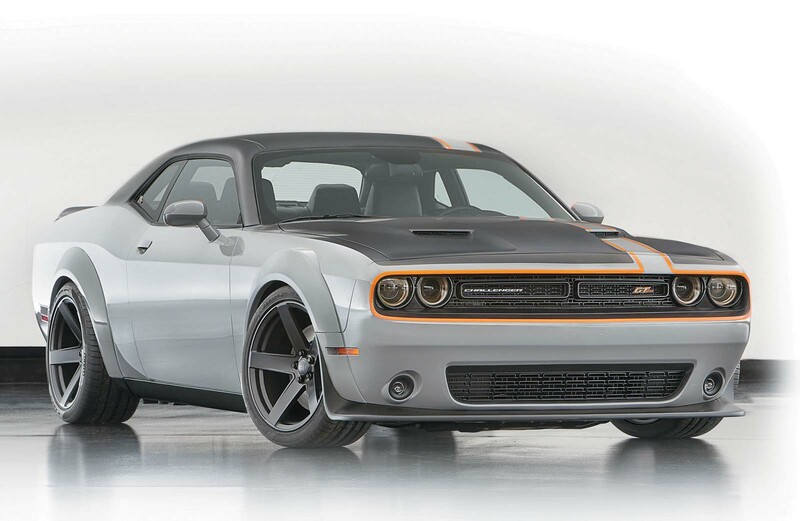 Aside from the wheel flares, this could be just another custom Dodge Challenger, but this one has a secret: it’s all-wheel-drive.